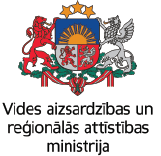 On 23rd and 24th May, 2019 the seminar in Ludza municipality will be dedicated to solutions of solving problems of degraded territories. Participants will be acquainted with agenda of activities. Project leader Daiga Zigmunde will give an overview on BrownReg project, as well as benefits from the project activities for Ludza municipality will be described. There will be presented benefits of regeneration of degraded territories for regional development and sustainable use of resources and basic principles of revitalization of degraded territories, creating new identity and image of place, social values, public participation. In Ludza (Kraslavas street 1), on former flax factory area will be planted phytoremediation plants.